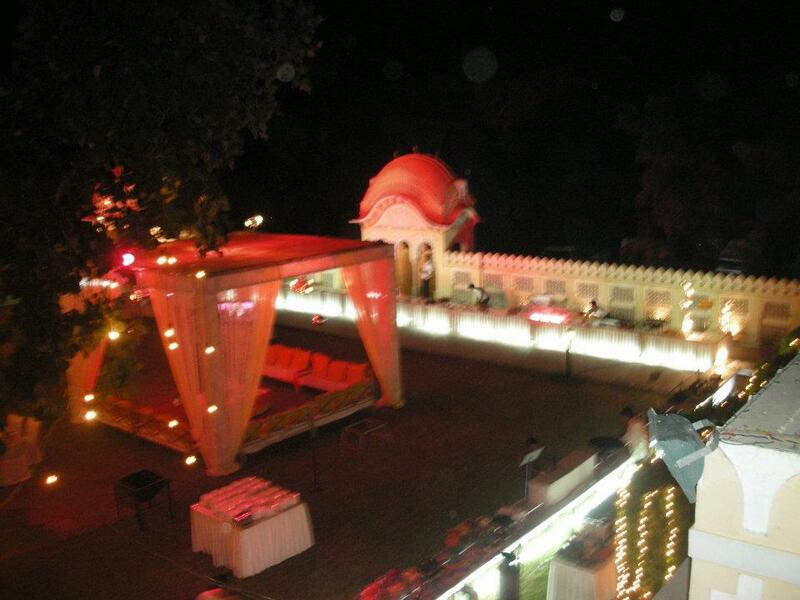 Ever thought of getting married like a Princess at a breathtaking Palace? 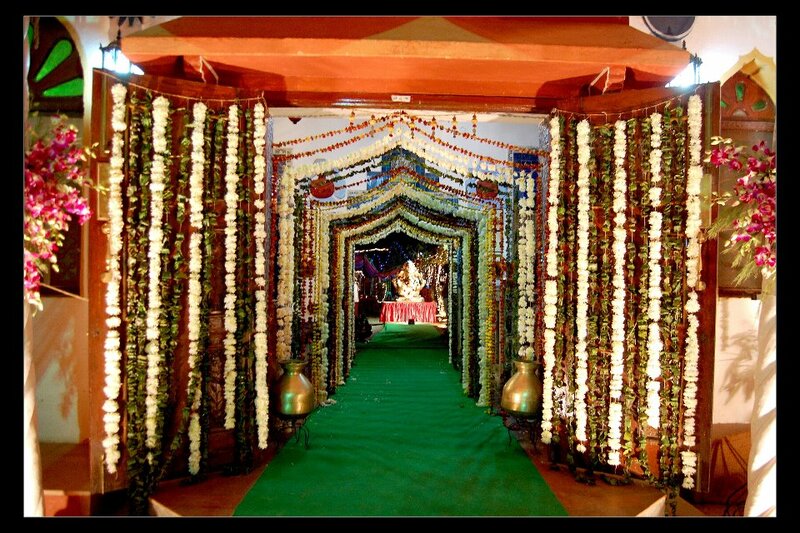 We know its a Wedding of your Dream! The pictures do not justify the architecture of the Palaces or to the sheer diversity of the venue. It is an experience, which will be unparalleled, take our word for it! 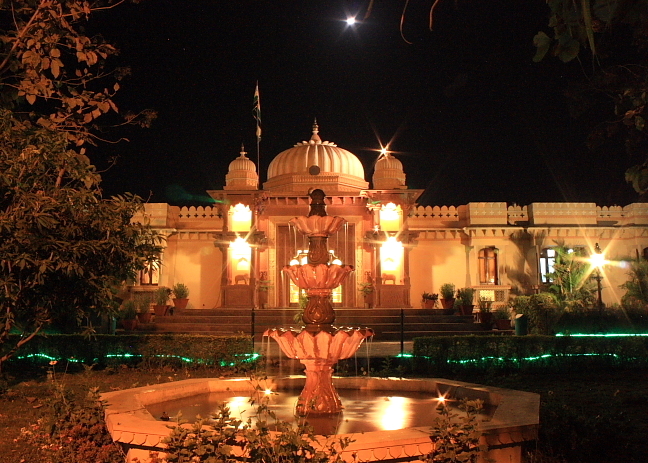 Have a look at the real wedding pictures of Amar Mahal, Orchha! Amar Mahal in Orchha is reminiscent of the royal past with its old world charm and is fused wonderfully with contemporary facilities. An experience that will hold you spellbound throughout your life. 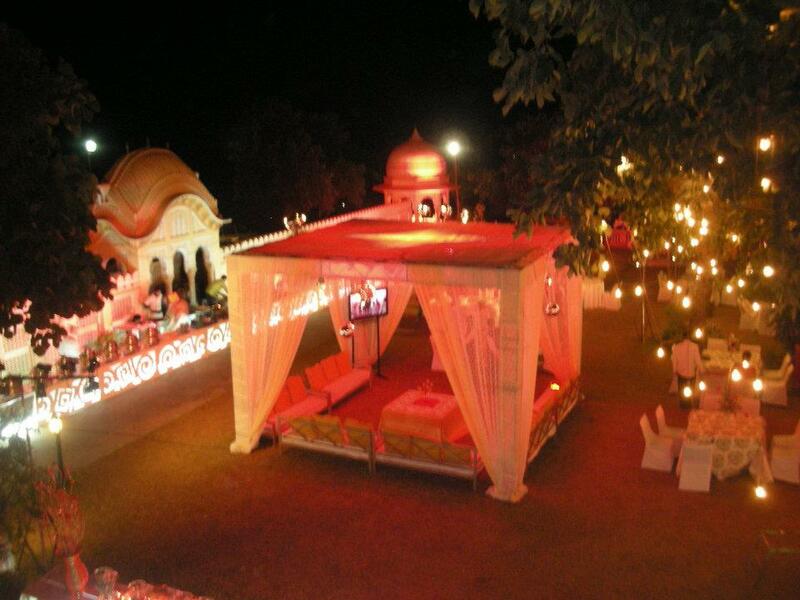 Orchha is such a beautiful location that fulfills every desire of couples & sets the delighting mood for a perfect wedding. 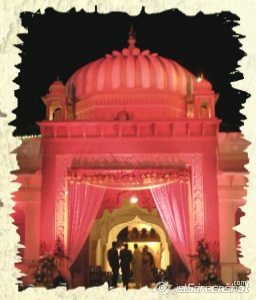 The Amar Mahal in Orchha with natural beauty and splendor has almost everything to play the perfect host to a royal wedding. 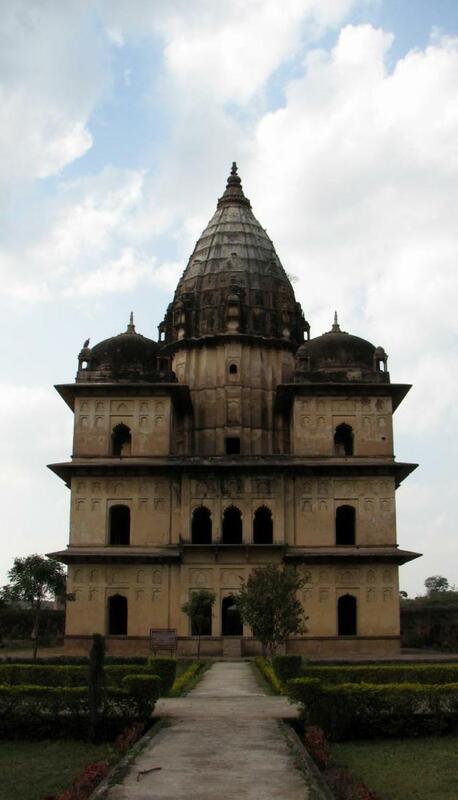 Fifteen cenotaphs to the Bundela kings and members of their clan are located on the southern bank of river Betwa. These include the Chhatries of Madhukar shah, Vir Singh Deo, Jaswant Singh, Udait Singh, Pahar Singh & Others. Most of the cenotaphs are designed in Panchaytan style. They are constructed on an elevated square platform. Banka Umed Singh was descendant of Haradaul and son of Rai Singh (a brother of Maharaja Udot Singh) this cenotaph was rectangular Mandap having three arched door. Sanctum has an image of Umed Singh wife his consort fixed on the back wall. An inscription of three lines carved on the canopy of image mentions 1742 A.D. The sanctum is topped with a small dome. The rule of Vir Singh deo (1605-1627 A.D) is regarded as the golden era in the annals of Bundela dynasty. He built the grand & Majestic building i.e Jahangir Mahal, Phoolbagh,Lakshminarayana Temple, Hamam and Naubatkhana. The cenotaph of Vir Singh Deowas build was Jujhad singh in 1627.1628 A.D. construction on an elevated square platform. The sanctum sanctorum too is square shaped and in structure is threestoreyed. The joining on each of the floor has balconies, most of which have not been able to survive and ravages of the time. The flow of the Betwa River touches the bottom of platform making it more scenic. King Sujan Singh was succeeded by his younger brother Indramani in 1672 who died in 1675 A.D. His son Jasawant Singh succeeded him. He constructed this cenotaph in 1675 A.D. This three cenotaph is built in square plan. Having square sanctum surrounded by rectangular chambers with three arched door and each corner has a square room connecting the verandah on both side. Sanctum has large Nagar style spire and at each corner square rooms topped with domes depicting the panchayatam style. The outer niches carred arched doors profusely of lotus designs in the decoration of cenotaph depicts the developed phase of Bundela architecture. King Jasawant singh died in 1684 A.D and was succeeded by his minor son Bhagwant Singh. The Maharani Amar Kawari became the regent. After the death of Bhagwant Singh, The maharani adopted Udot Singh who belonged to Hardaul branch of the family in 1689 A.D. Udot Singh constructed this cenotaph in 1689 A.D. This cenotaph is square in plan. Having square sanctum with arched doorways on four side, a rectangular passage and corner square rooms connected with the passage on both side. The three cenotaphs have a large Nagar style spire at the Top and each corner, square room is topped with dome making it an example of the panchayatan style. The decoration of the doms,spire,niches and gates are in typical Bundela style. 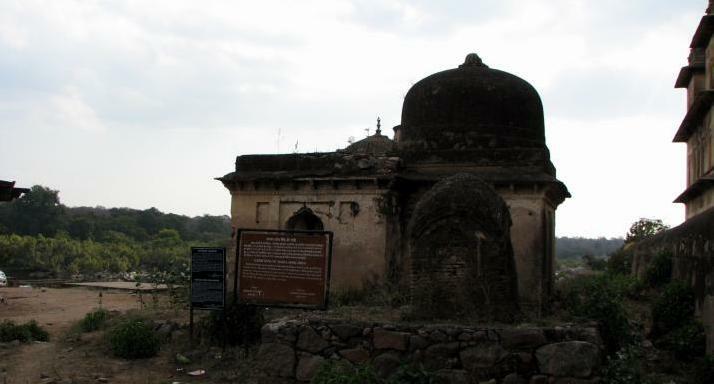 King Indramani was succeeded by his son Jashwant Singh, as ruled at Orchha from 1675 A.D to 1684 A.D. Mughal Emperor Aurangzeb granted him Khillat in 1683 A.D. He died in 1684 and was succeeded by his minor son, Bhagwant singh. This cenotaph was constructed by his mother Amarkumwari in 1684. The Cenotaph has a square sanctum with arched doorways in each direction in Sarvathobhadra style and surrounded by rectangular passage having three arched doors towards the courtyard with each corner having square rooms connected to the passage on both side. The three storeyedstructure has a large spire of Nagar. Style in middle and each corner square rooms are surmounted with decorated dome. making it an example of the panchayatan style. The decoration of the shikhar inverted lotus at top of domes octagonal base and Kalashniches and archer door are again typical of the Bundeli architectural style. 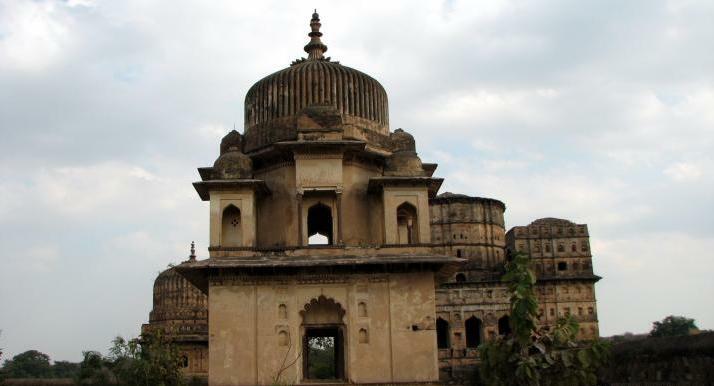 The first Bundela king of Orchha, Bharti Chandra (1531-1554 A.D) died in 1554 A.D and was succeeded by his younger brother Madhukar Shah (1554-1592 A.D) who built in two stage domes were added in 17th Century A.D and beautiful painting were done. Under the Chhajja it has also inscriptions dated 1675 A.D to 1683 A.D below the Chajjabetween brackets. Cenotaph has square sanctum surrounded by rectangular passage having arched doors. At the top each corner has a square room topped with domes and a large dome at middle. This cenotaph is one of the examples of Bundela cenotaph architecture. 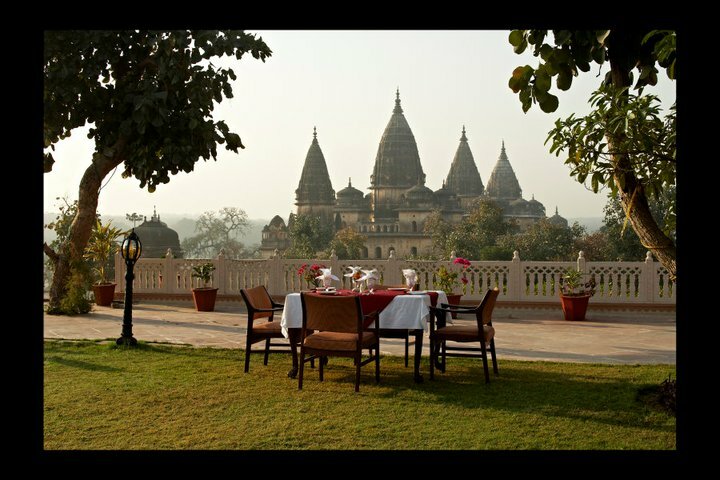 Amar Mahal over looking orchha temples and cenotaphs. 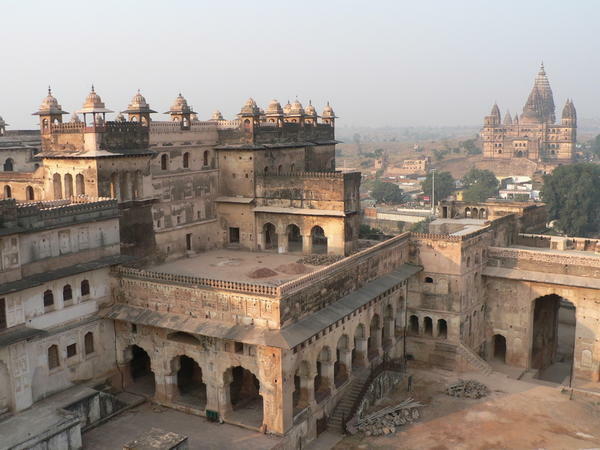 Orchha was the 16thcentury capital of the Bundelkhand region, which extends from Jhansi in the north to Chambal in the west, Khajuraho in the east and Panna in the south. It is known for the lovely architecture that flourished during the reign of the Bundela kings, who were renowned for their Rajputhi bravery and their refined taste in arts. They withstood the might of the Mughals and won almost every battle against them. 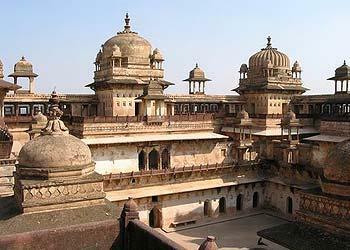 The golden period of Orchha is said to have been until the mid-17th century when all the palaces and temples were built. 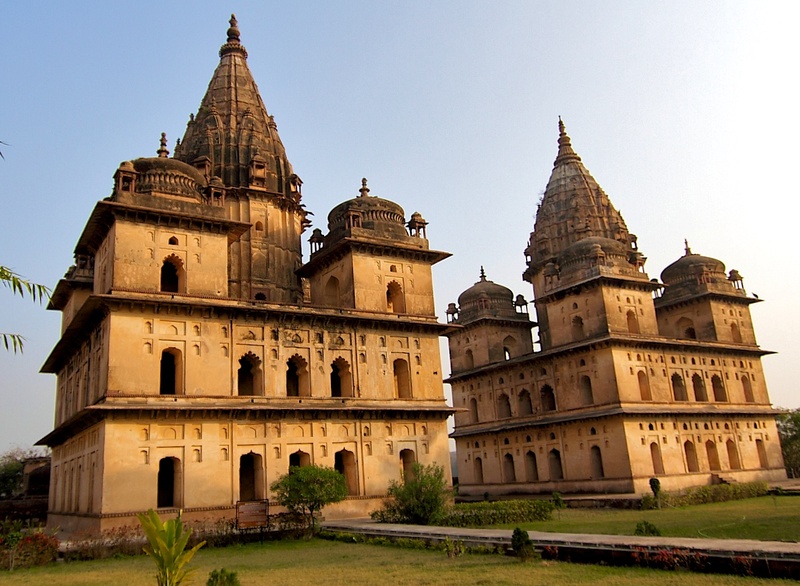 Orchha has 3 important attractions – the fortified area that includes royal palaces, royal cenotaphs and the temples. 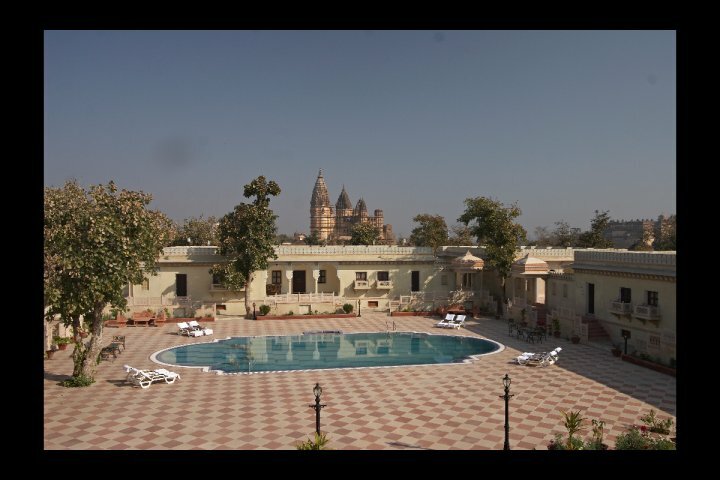 Let us first take you to the magnificent, marvelous and mesmerizing palaces of Orchha i.e. Raj Mahal, Jahangir Mahal and the Amar Mahal in Orchha. 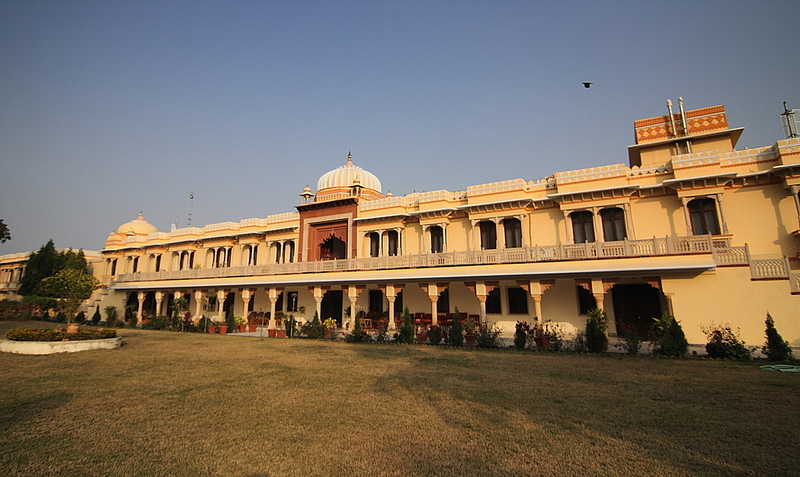 Raj Mahal is the Bundela kings’ residential palace . 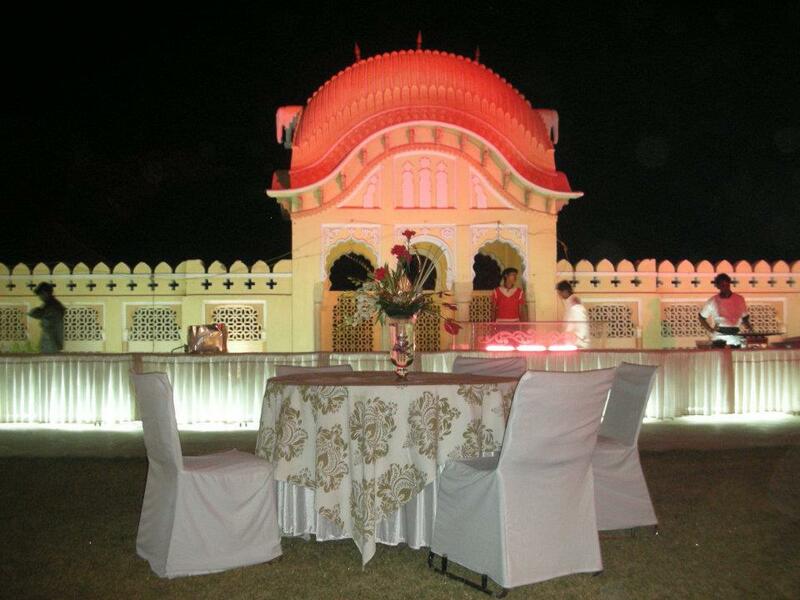 It’s a large, simple mahal with a Diwan-e-Aam on the outside and two lovely, square courtyards inside. Bundela king Veer Singh Deo had 8 wives and each had their own living quarters as well as common areas for makeup and devotion. The king himself had a room in the center, that was larger than the queens’ quarters and were connected to them through a narrow passageway, which is currently closed. 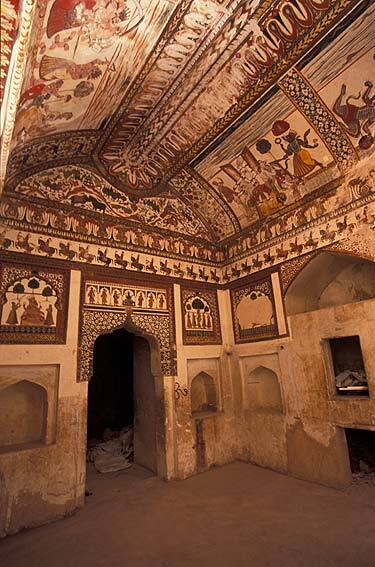 All these rooms have beautiful paintings on the ceilings and walls. 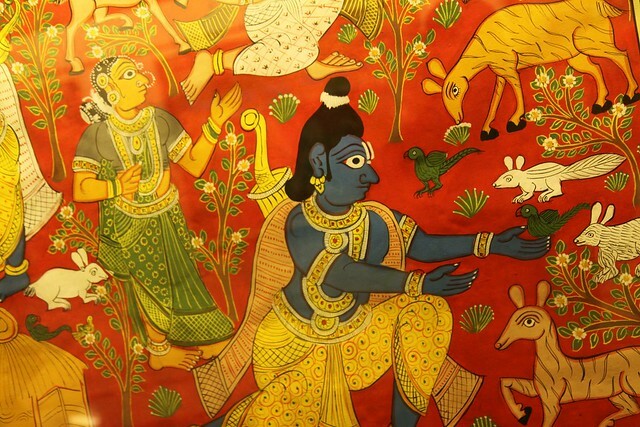 They depict birds and animals of Bundela as well as mythological themes like the Dashavataram. Unlike other palaces, this one has a Hamam (bathing room) and toilets that can be seen. Veer Singh Deo built an alliance with Jehangir, Emperor Akbar’s son, and then built the fantastic Jehangir Mahal in his honor. This palace is an architectural wonder and you would be absolutely enthralled by it. Exiting Raja Mahal, you would enter Jehangir Mahal through an entrance at the back and step into a beautiful inner courtyard. At the center of the courtyard was a shallow tank where water was heated and sprinkled with flowers, spreading a lovely aroma in the air. 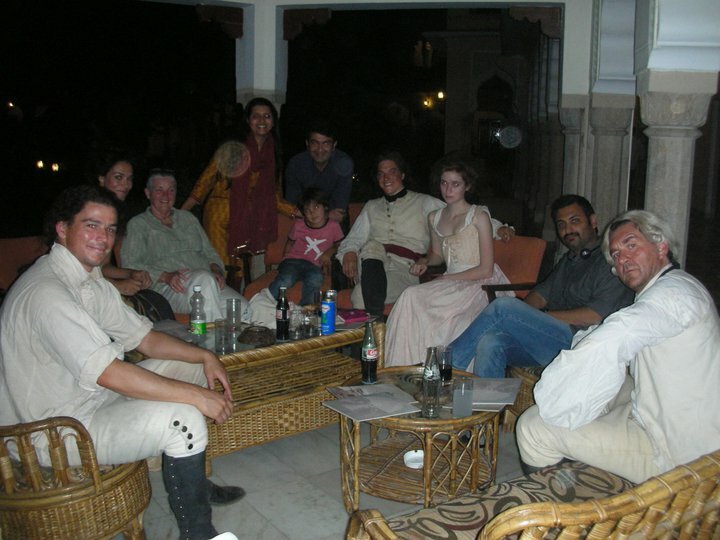 The courtyard is surrounded by living quarters that were built for Jehangir and his entourage. These are topped by fantastic domed cupolas that are fashioned after those at Fatehpur Sikri. As you climb to the top, you would love the views from there. 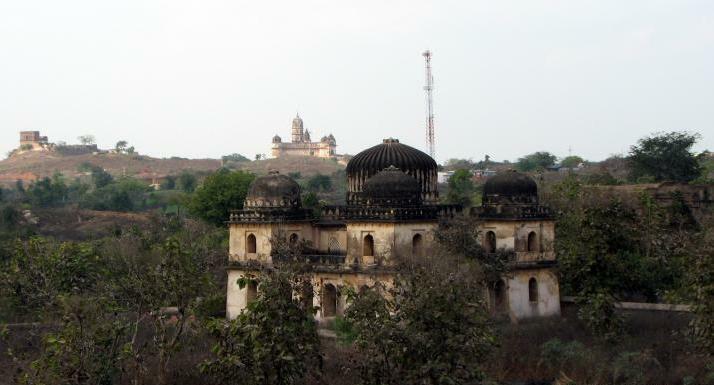 You can walk along the walls of the palace and can enjoy the panoramic views of Orchha from every angle. One could easily spend days exploring each one of them – it is quite a sight! 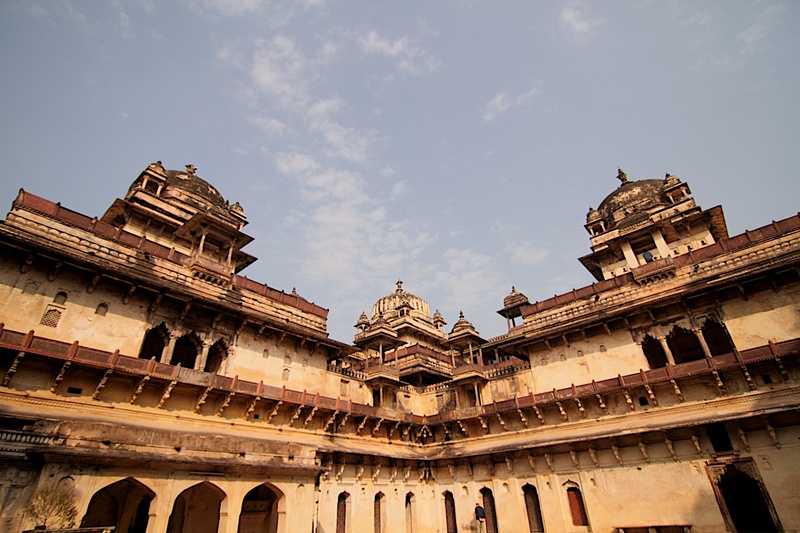 Orchha may have the same charm and small-town feel as Bundi-Rajasthan, but it definitely has much more to see and do. 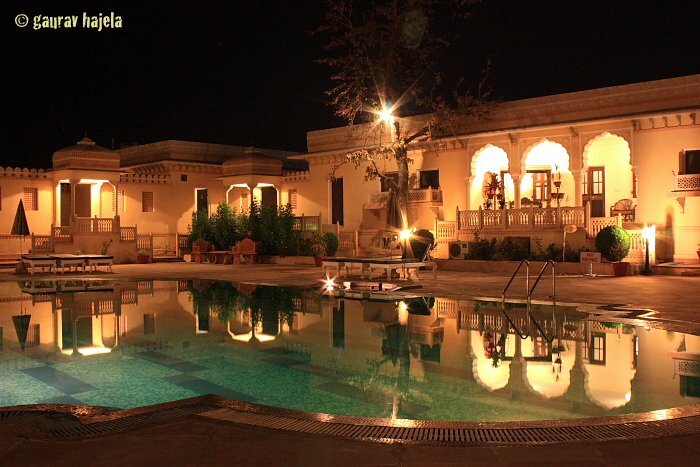 In the hidden town of Orchha, Amar Mahal offers a vision drenched with amatory and beauty. The massive cenotaphs and the lush green hills complement this royal hotel and enhance its appeal and charm. Walk to a beautiful world of fairy tale luxuries with ornate suite, fit for the King cuisines and splendid activities. More of an art gallery than a museum, the Saaket Museum in Orchha showcases some beautiful folk paintings from different states of India. 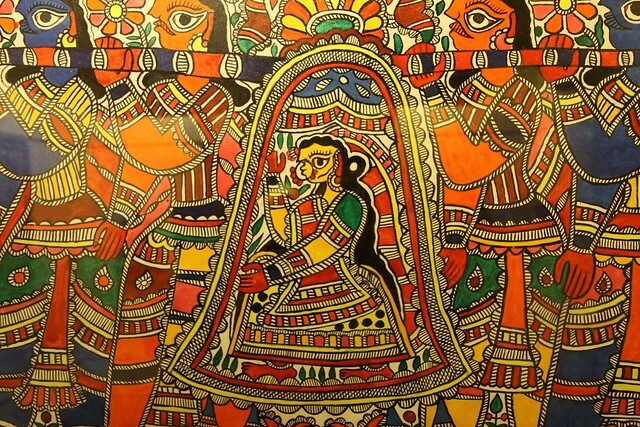 The Madhubani paintings from Bihar are particularly striking. This museum was established by Kapil Tiwari, director of the Adivasi Lok Kala Academy. Keeping in mind Orchha’s spiritual and archeological importance, and also its significance as a renowned tourist place, the academy established Ramayan Kala Museum in 2005 at Baroodkhana, Orchha. 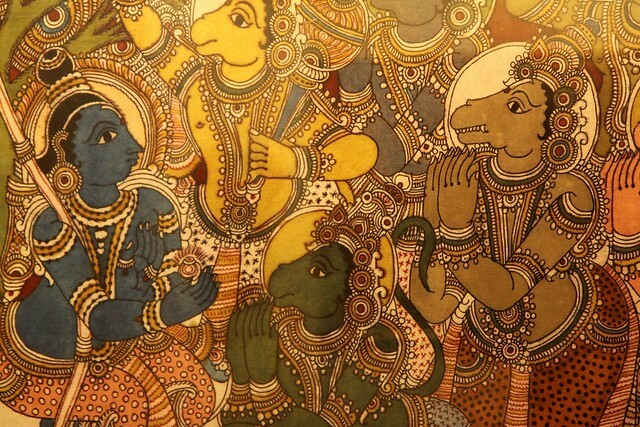 The museum houses all art items, traditional painting featuring Ramkatha in various styles. 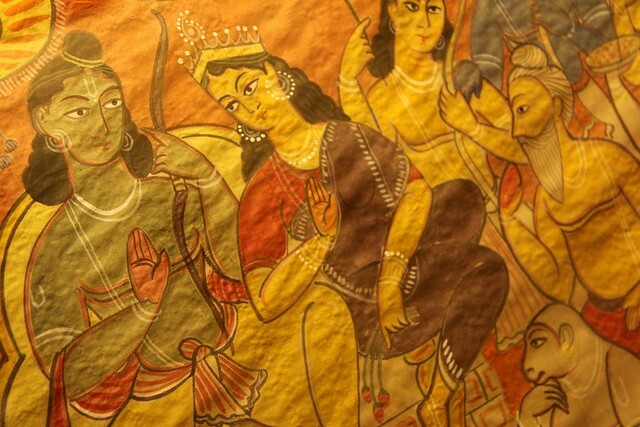 It also showcases crowns, masks, jewellery and costumes associated with Ramkatha and Ramleela. 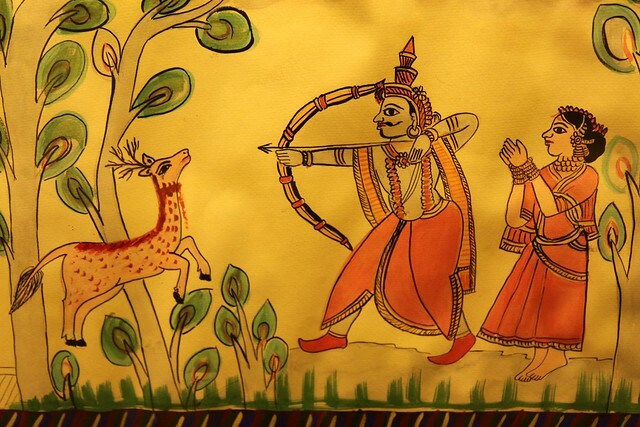 Saaket Ramayan Kala Sangrahalaya is the country’s first museum which display the traditional arts associated with the Ramayana, themed artwork in various tribal art styles.. 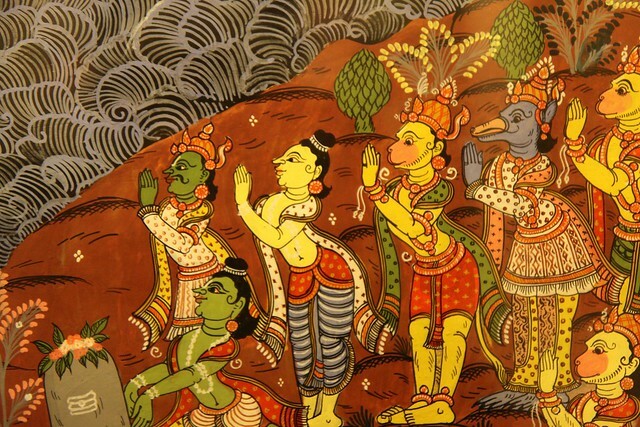 Sharing the mesmerizing paintings of Saaket Ramayan Kala Sangrahalaya. 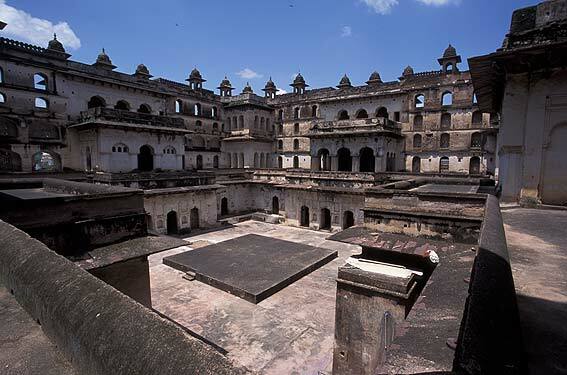 Saaket Museum is ranked 3rd among the 10 must to do things in Orchha. Is the summer heat driving you up the wall? Do you feel like you are baking every time you step outdoors or worse still, sweating buckets? Are you aching to douse yourself with ice cold water and beat the heat? 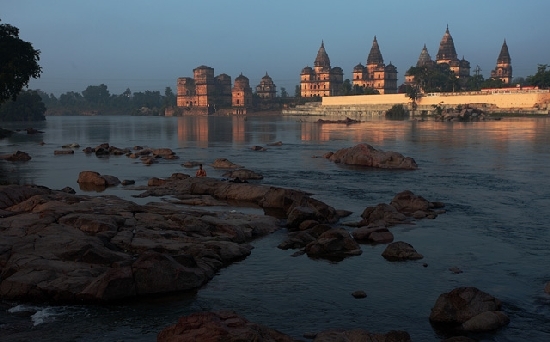 Its time to embark on a refreshing journey to Orchha. 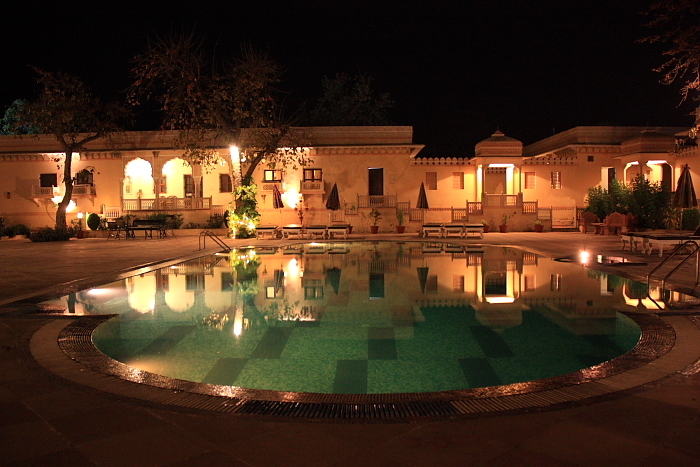 Amar Mahal, Orchha’s poolside is a regal way of beating the summer heat. 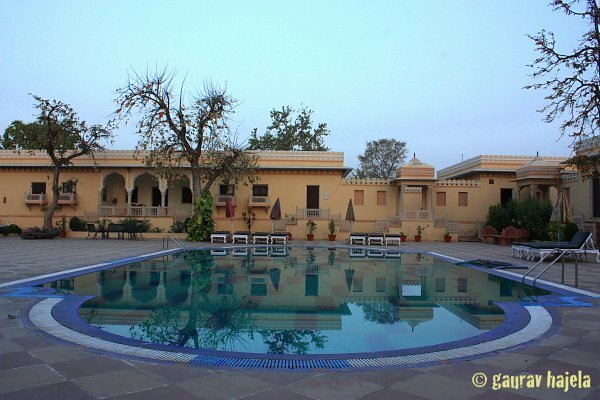 This luxury hotel stands tall among hotels in Orchha for its exquisite architecture blending with the picturesque & rich heritage of Bundelkhand. For those with an energetic disposition there is an excellent swimming pool for the exclusive use of guests. Relaxing in the crystal clear waters of the pool and the lovely surroundings will surely make your stay enjoyable. 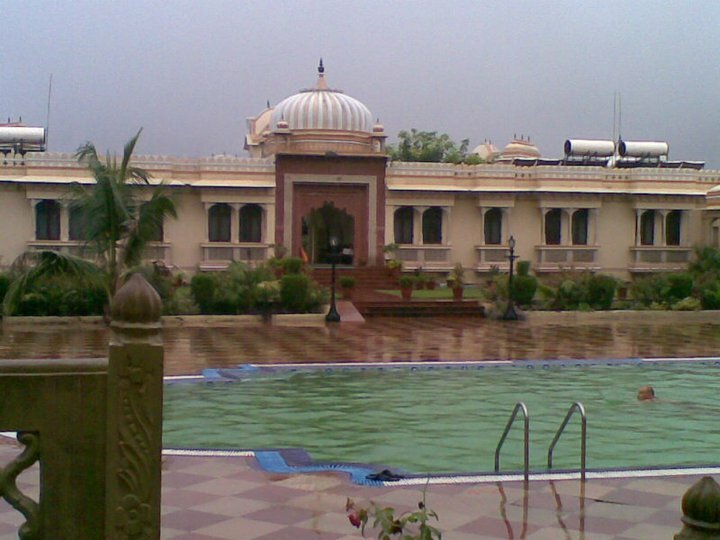 Exquisite chattris (cenotaphs) around the pool gives a feel of bathing in the traditional royal way. 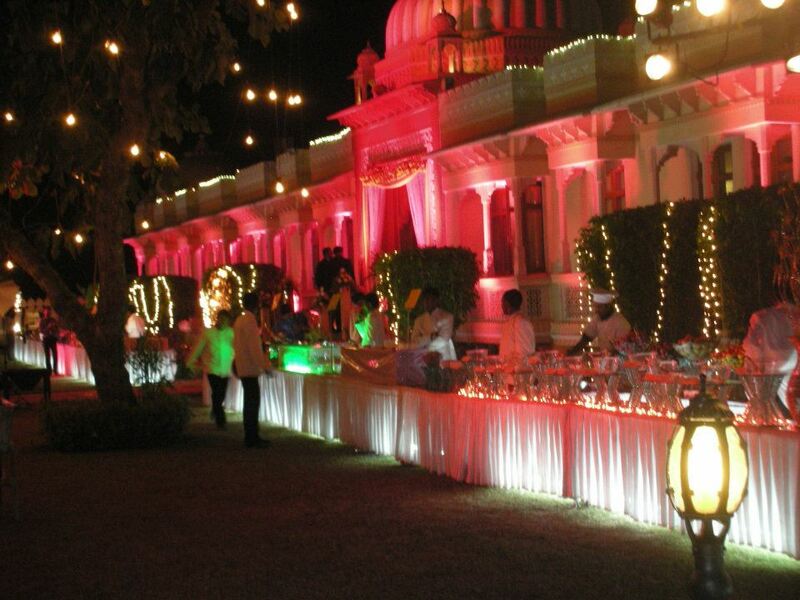 Amar Mahal glows as a composite creation blending the traditional with the best in modern architecture. A stay here is bound to be cherished for long. Amar Mahal is the ideal place to be when it comes to meet & celebrate social events of all kinds with a special distinction, be it a grand banquet or less formal luncheon, wedding receptions, political meetings, corporate conferences, press meetings or any other occasion. 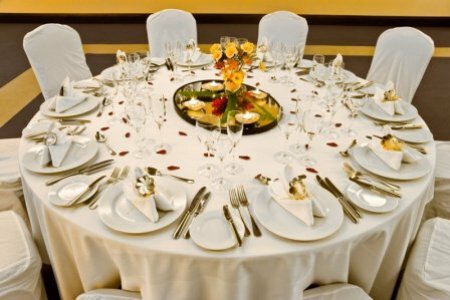 Our banquet hall is an elaborate, sumptuous repast that is able to welcome about 24 seated persons offering amazing buffets created by our professional well experienced staff. 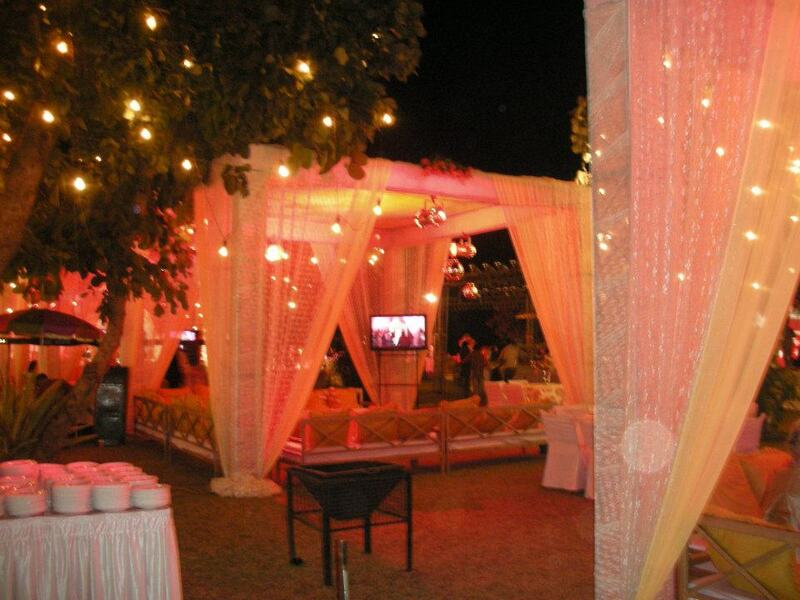 The banquet covers everything from traditional Indian delicacies to the International gourmet cuisine. 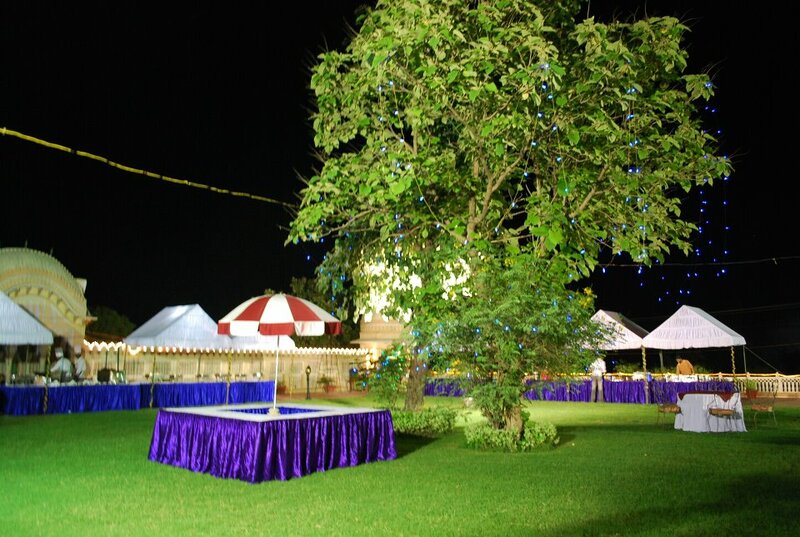 All your requirements of a premium banqueting area, state of the art audio-visuals, excellent outdoor-indoor catering services & perfect ambiance will be amply met here at Amar Mahal. Our professionalism with the combination of creativity and passion ensures function to be well remarked and delightfully remembered by your guests. 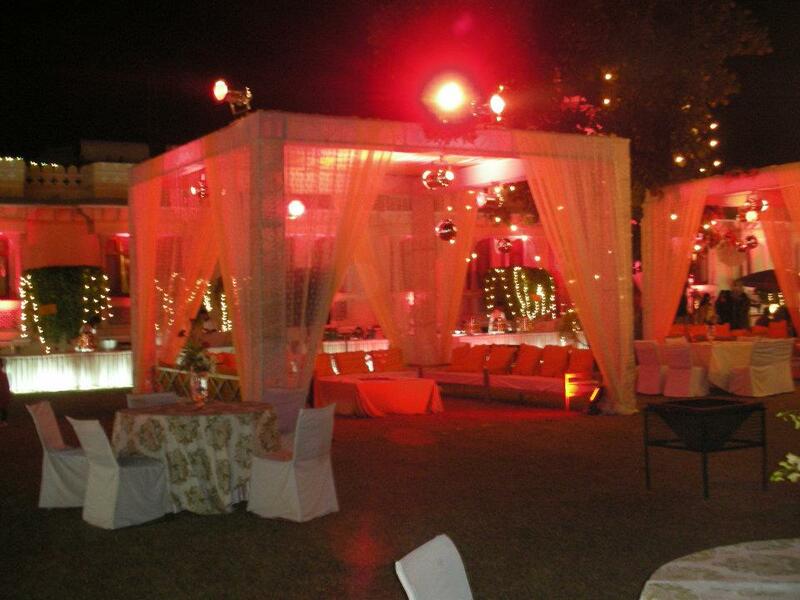 Relish the perfect settings for your perfect events! 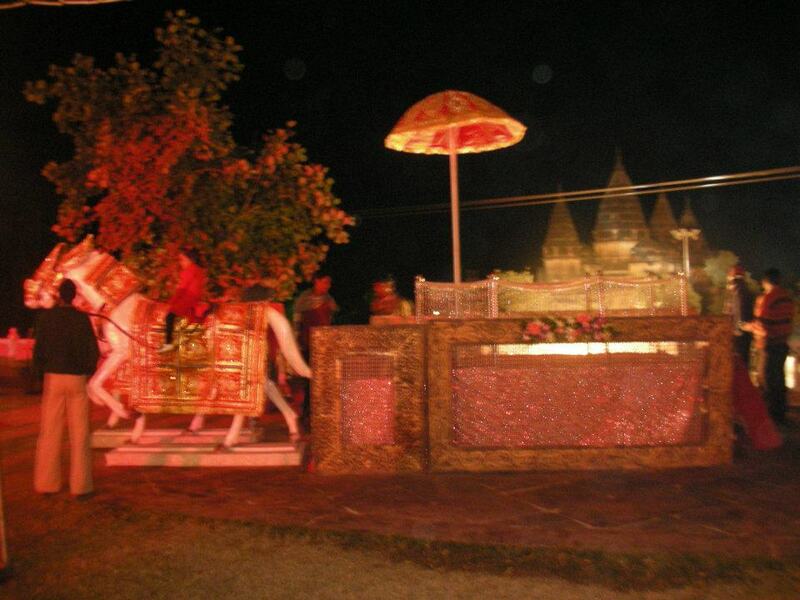 Royal Weddings at Amar Mahal, Orchha!! Amar Mahal in Orchha is reminiscent of the royal past with its old world charm and is fused wonderfully with contemporary facilities. An experience that will hold you spellbound throughout your life.